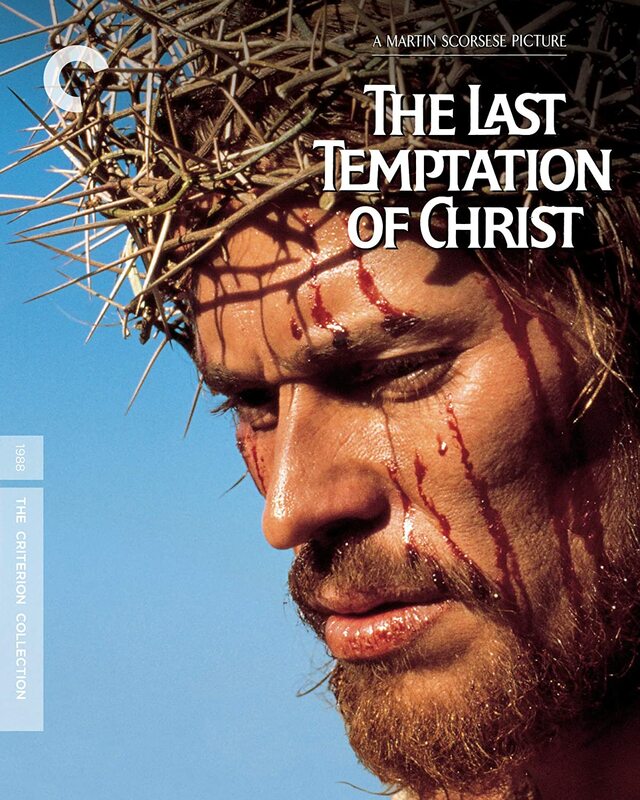 'The Criterion Collection' have recently released a digitally remastered edition of the 164-minute biblical epic, 'The Last Temptation of Christ'. It was directed by Martin Scorsese, it starred Willem Dafoe, Harvey Keitel, and Barbara Hershey, and it comes with a number of very special features. This includes audio commentary from the cast and the crew, a visual essay by David Ehrenstein, an interview with the composer, Peter Gabriel, as well as other sections dedicated to production stills, research materials, costume designs, and on-location production footage shot by Scorsese himself. Please enjoy. Now we’ve been traveling together for quite a while, Judas (Harvey Keitel), and during that time, I like to think we've gotten to know each other fairly well. So, between you and me, I’d like to ask you one simple question: What type of person do you think I am? And please, try to be honest! I mean, am I a bad person for ignoring my own mother and befriending the local prostitute, Mary Magdalene (Barbara Hershey)? Or am I a good person for promoting peace and being blessed by John the Baptist (Andre Gregory)? Either way, I need to know what you think, deep, deep inside, otherwise, we won’t be able to continue our spiritual crusade. So, come on, Judas, spill the beans. For am I not both man and God, rich and poor, and good and evil, rolled-up into one human-sized being? 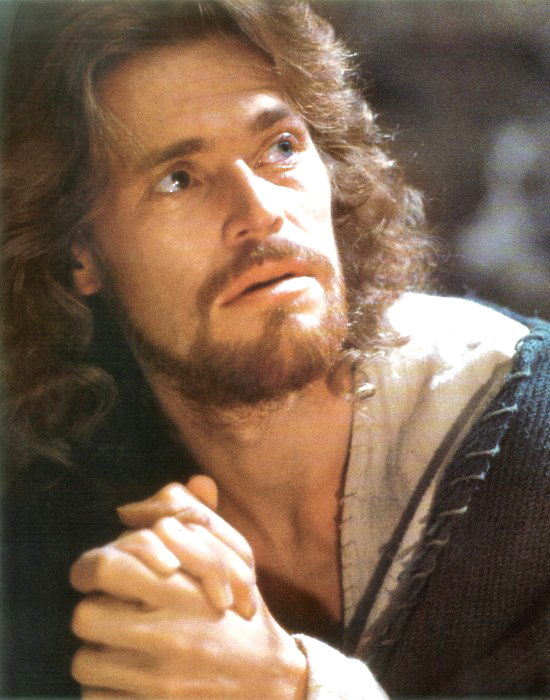 Me, Jesus Christ himself (Willem Dafoe)! After all, I have just returned from forty days, forty nights, away in the wilderness, only to come here to ask you this one simple question! But then again, that’s most probably why what next transpires goes biblical when a religion gets betrayed. As a group of friends have something to eat - a crucifixion can damage your feet - another life isn’t always a treat - and at the end of the day, please remember, temptation can lead to salvation or deceit. Before we begin, I would just like to make one thing perfectly clear. I’m not Jewish, I’m not Catholic, and I’m not a deeply religious person. What I am, though, is Greek Orthodox (featherweight edition), which coincidentally is the exact same faith Nikos Kazantzakis prescribed to. Well, for those of you not in the know, Nick was the man who originally wrote the book this film was based on, way back in 1955, as well as being the author of another book that was likewise adapted into a major motion picture, ‘Zorba the Greek’. Not that this is completely relevant, mind you, but I thought it's well-worth mentioning so you can partly understand what I’m about to say next. ‘The Last Temptation of Christ’ is a comic book movie. No. Don’t laugh. It is a comic book movie because, religion aside, it takes a well-known character with special abilities and then creates a fictitious pretext around their own origins. Heck, just take a look at Batman, for instance, as there’s no denying we’ve seen numerous iterations of his character throughout the years, including a camp TV version (from the 1960s), Tim Burton's Gothic version (from the 1990s), and of course, Christopher Nolan's postmodernist version (from the 2000s), all of which showed us different interpretations of the same character translated in a number of alternate ways. Now, in the case of ‘Temptation’, we’re presented with a less pretentious version of Jesus (and the Bible) compared to some of the others we’ve seen on the silver screen. After all, most of the actor's sport American accents (as opposed to British), all of the special effects were minimalist by design (not CGI), and the overall scope of the picture felt more self-contained and less cinematic. Visually, at least, coupled with the fact that it had a soundtrack that comprised of ambient and acoustic melodies that derived from the Middle East, Africa, Europe, and South Asia. So, with all that said, we now have to ask ourselves the all-important question: Is this movie a good movie or a bad one? Well, between you and me, I suppose that all depends on your own personal perspective. If you’re a religious person, you may take offense to it because it depicts Jesus as a flawed human being who doubts his ultimate mission. If you’re a fan of action films, then you may hate it even more because it’s slow, evolving, and fairly touchy-feely. And if you’re a patient person who’s open to new ideas, like myself, I think you might enjoy it, in part, because the story makes sense, the sets and backdrops were nicely designed, and all of the actors were charming and very visceral to watch, especially Willem Dafoe and Harvey Keitel, who played Jesus and Judas respectively. What’s more, the basic message behind it is also something we should all take notice of, stating: Never avoid your responsibilities and always confront your fears. Otherwise, you’ll end up like a camp version of Batman. Ha! Just kidding, folks. That last sentence, anyway. Besides, now seems like a pretty good time for us to sit back, relax, and check out the following filmic facts: (1) 'Universal Pictures' first screened this seven million dollar production in America on the exact same day we now celebrate 'International Youth Day'. It was on the 12th of August, 1988, and it eventually managed to claw back just under nine-million dollars at the Box Office. (2) Martin Scorsese always wanted to make a biblical epic; just like the ones he used to see as a small child, such as 'The Ten Commandments', 'Ben-Hur', and 'The King of Kings'. 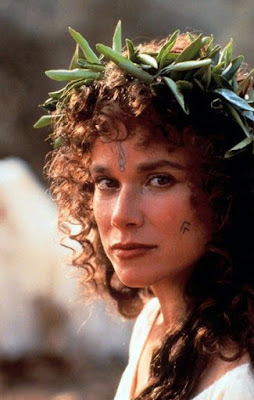 So when Barbara Hershey, who coincidentally plays Mary Magdalene in this film, gave him the Nikos Kazantzakis novel, 'The Last Temptation of Christ', it inspired him to adapt it into a major motion picture. Please note, though, that this was way back in 1972, just after Martin directed his second film, 'Boxcar Bertha', and he didn't know how long it would take him to make. (3) Loosely translated, this project was entitled 'Christ's Last Test' in Slovenia, 'The Final Temptation of Jesus' in Romania, and during post-production, it was simply called 'Passion'. (4) The majority of this movie was shot on location throughout the North African country of Morocco. This includes Marrakech, Ouarzazate, Aït Benhaddou, the Atlas Mountains, Meknès [Villa Imperiale & Volubilis], and Oumnast [Magdala and Nazareth]. (5) Throughout its development, many different actors were considered to play four key roles in this film. 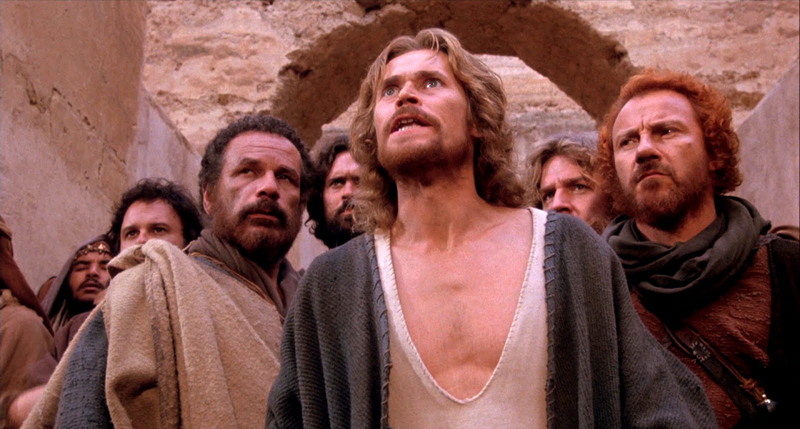 Aidan Quinn, Mel Gibson, Robert De Niro, Eric Roberts, and Christopher Walken were all considered to play the part of Jesus Christ; Sting was once considered to play the part of Pontius Pilate; Vanity and Kim Basinger were both considered to play the part of Mary Magdalene; and Ray Davies was once considered to play the part of Judas Iscariot. (6) Originally this movie was going to be produced by 'Paramount Pictures' in 1983, with a budget of fourteen million dollars for it to be shot entirely on location in Israel. But unfortunately, at the last minute, these plans were aborted because the management received many letters of protest from a number of noted religious organizations. (7) To continue on from my last point, you might like to know that upon its release, this film was banned, protested, and shunned by countries, television stations, theatres, and religious groups throughout the world, and at one stage, Martin even had to be guarded due to death threats placed upon his life. (8) After this film said 'Three Hail Marys', Willem Dafoe starred in the historical drama, 'Mississippi Burning'; Harvey Keitel starred in the political parable, 'Caro Gorbaciov'; and Barbara Hershey starred in the comedy, 'Beaches'. In closing my review for ‘The Last Temptation of Christ’, I would like to draw your attention to points 6 and 7 of my trivia splurge. Those two points relating to the controversy that surrounded this film! Well, when I say controversy, what I actually mean by this is that certain religious factions took offense because of the way Martin Scorsese (the director), Nikos Kazantzakis (the author), and Paul Schrader (the screenwriter) altered Jesus's story by updating it with a modern temperament. Which I can understand, up to a point, as no one really likes the idea of changing history for the sake of artistic merit. That said, however, overall this movie is a 'moral movie' and attempts to be fairly faithful to the source material in a number of different ways. Artistically, everything looks clean, minimalist, and vibrant on the screen. Textually, the world this story inhabits seems moderately faithful to the naked eye. And emotionally, most of the characters, supporting or otherwise, appear archetypal by nature yet understandable by design. Meaning, it all makes sense, the people, their emotions, their behaviors, or their attitudes towards the concept of faith, sacrifice, and believing in the hereafter. Well, let's face it, if you were in Jesus's sandals, size nine, and you knew that you had to sacrifice yourself for the greater good, then I’m sure that on some humane level you'd at least doubt your station in life (Son of God) and what you have to do to reach your goals (spread peace by dying on a cross). But then again, are we not allowed to say something like this? Are we not allowed to query the Bible or try to understand it in another way? And if not, why not? Questions sometimes need to be answered, and to me, that’s precisely what’s at fault here, the inability to question those who can’t physically prove what they truly believe! Scorsese isn't denying the Bible or its teachings and neither is anyone else associated with this picture! So why is religion itself, right, while religious interpretation, wrong? Especially when both sides of the equation are trying to do exactly the same thing — tell a great story and make people think about a man who’s willing to sacrifice everything without getting anything in return! Great movie. Holy Batman. Nuff said.